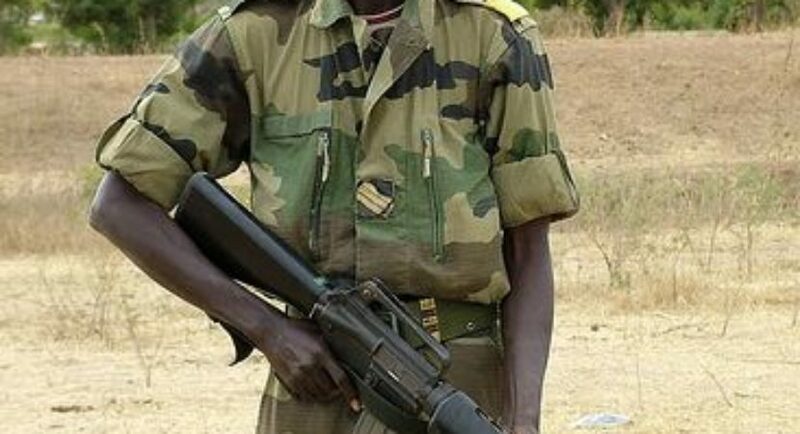 Nigerian Christian soldier, Sergeant David Bako from the Middle Belt, Plateau State to be precise has revealed how the Dapchi girls kidnap drama was plotted and executed. In an email sent to our newsroom here in Paris, Sergeant David Bako said the plot was planned and rehearsed for two weeks by Buhari’s loyalists in the army of which he was one. He said the resurgence of Boko Haram attacks and killings in the northeast drove the government to find all means possible to regain the peoples’ confidence seeing that 2019 election is as good as lost. Buhari, he said, does not want to leave the Villa under any guise in 2019. In the email below he narrated how the plot was planned and executed. There was no such thing like kidnapping by the Barnawi faction of the Boko Haram. We drove into the school compound in a commando style, broke through the school gate while the night guards numbering three or more ran for their dear lives as they heard our gunshots and chanting Islamic war songs amid ‘Western education is a sin”. We drove straight into the school dormitory and ordered the girls to get onto the trucks some of whom slept naked because of the scorching heat. Although we had been given warning by our commander not to molest or rough handle the girls as such action would not be tolerated under any guise. Unsuspicious of my motives, he collected it from me and gave me five days to report to my duty post. With the visa I had in my passport I had to go as far as Port Harcourt where no one knows me and flew out of the country while asking God forgiveness for the part I played in the whole operation. What actually made me repent of the evil is the plot on the ground to carry out ethnic cleansing in Nigeria and as I write this piece, I make bold to say here that every Nigerian community in the southern part of the country has been infiltrated by armed militias imported from Niger, Mali, and Chad by the Buhari government to unleash terror on Nigerians if they by a twist of fate resist the ongoing ethnic cleansing.